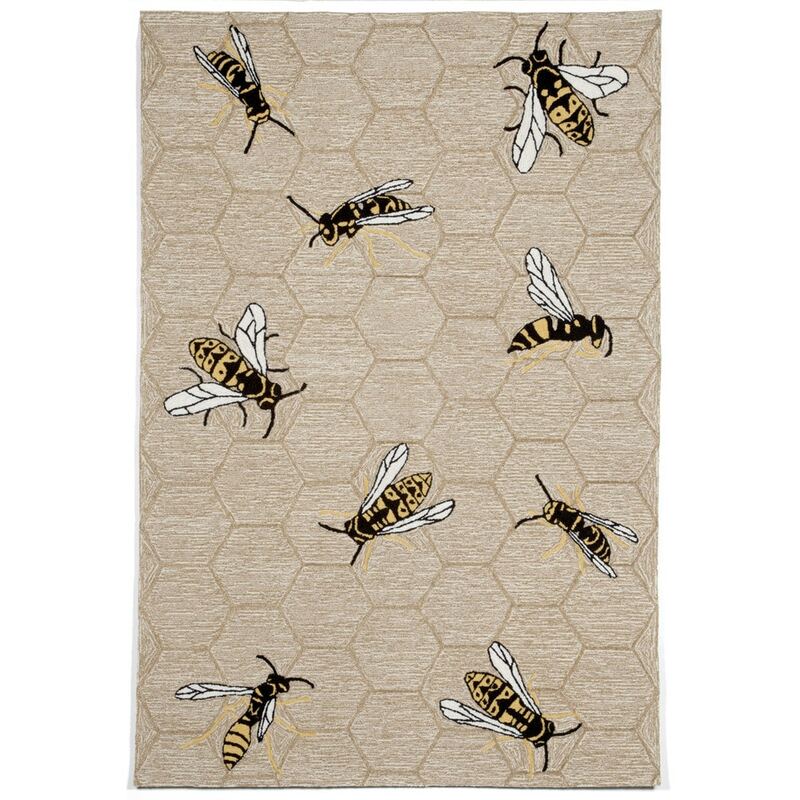 Maneck Napa Collection 'Honey Bee' Indoor/Outdoor Rug Honey Bee - Neutral / 42"X66"
Honey Bee - Neutral / 42"X66"
Raised hooked piles of yarn are used to form the design creating a casual rustic feel. Ideal for Indoor or Outdoor, these cut and loop synthetic rugs are durable, easy to clean, and UV stabilized. The combined cut and loop pile of a chunky yarn creates a rich textural surface while being soft underfoot and durable enough for any high traffic area of your home.